Metallic epoxy is a hot new trend in high-traffic flooring that offers a unique style, and adds dimension to any space. The smooth, glass-like finish and shimmering surface enhances interior floors, and offers the flexibility to create your own individual look. Black Bear Coatings & Concrete provides a wide variety of metallic epoxy flooring for industrial and commercial properties. For over 25 years, our highly-trained field teams have installed formulated epoxy coatings based on the performance requirements of a given location. We specialize in value engineering metallic epoxy designs that complement your environment and breathe new life into a space, while providing the high-quality, durable flooring that is synonymous with the Black Bear name. 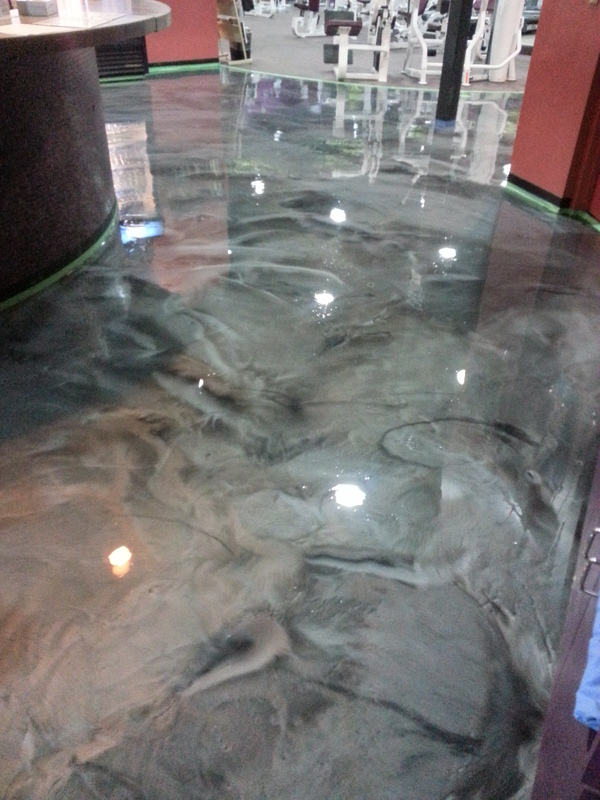 Metallic epoxy can be used to coat over existing concrete floors, or designed exclusively for a new flooring system. Basic installation includes a three-step process using a primer, the formulated metallic epoxy, and a clear top coat. Additional top coats can be added for increased scuff resistance and greater protection against constant motion. Metallic epoxy floors can be installed with minimal downtime, and the three dimensional look adds color and depth to conventional floors – making this a popular solution for retail spaces, lobbies, and showrooms, and a preferred solution among interior designers.